The spring flowers resembled busy airports this week. 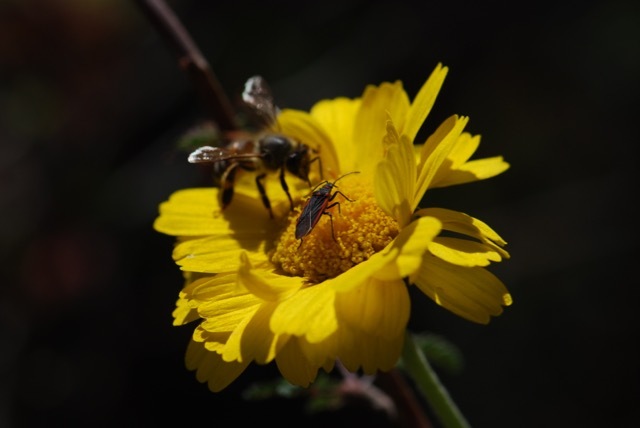 The desert marigolds were abuzz with insects, including this photo-bombing honey bee. 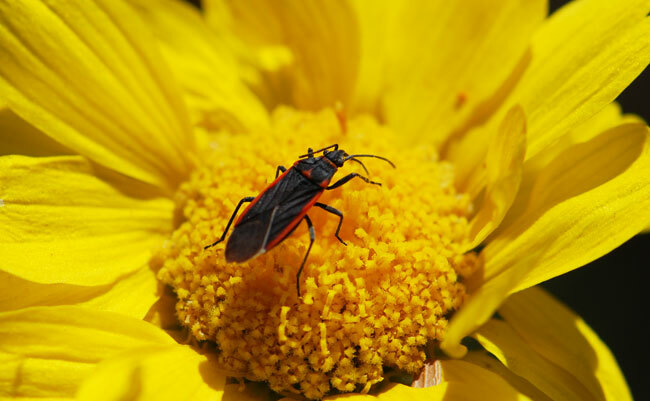 The red and black bug is a charcoal seed bug, Melacoryphus lateralis. 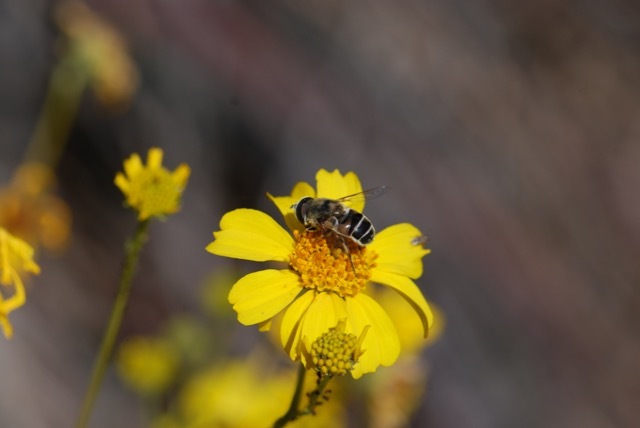 The brittlebush flowers were also teeming with insect life. 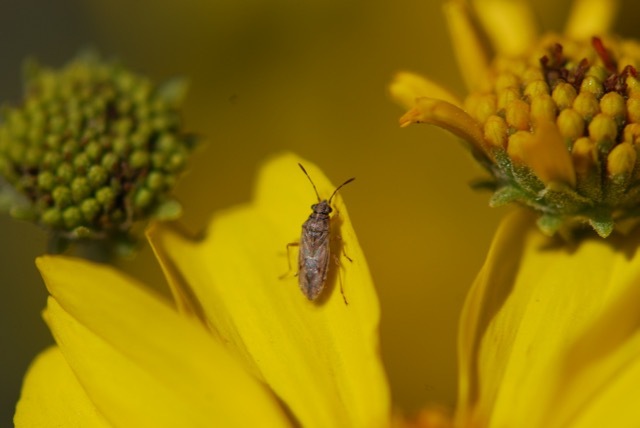 Many of the flowers harbored false chinch bugs. Along with numerous honey bees, the flies were active. 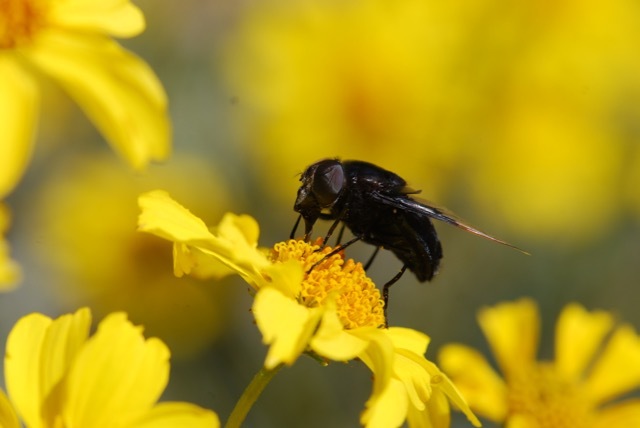 This is the black flower fly, Copestylum mexicana. Is it a bee or a fly? 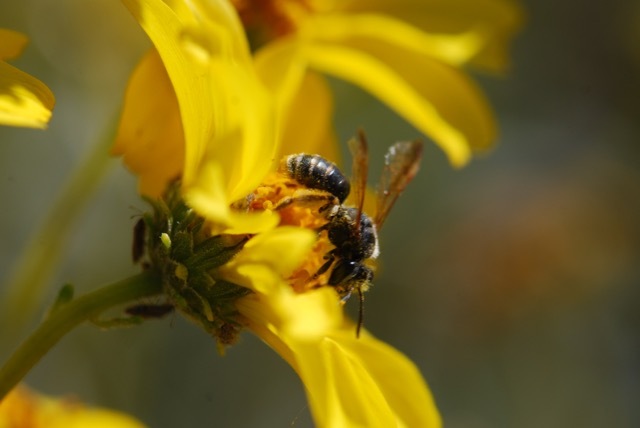 This one is another kind of flower fly that mimics a bee. 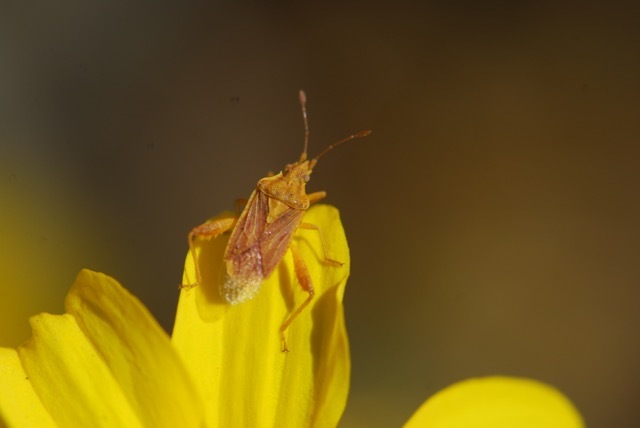 This plant bug's spring finery matched the flower. It's an exciting time of year in nature.